Castle Assault 2013 is coming! Welcome to CastleAssault.net home of Newcastle’s premier Wargaming Event. 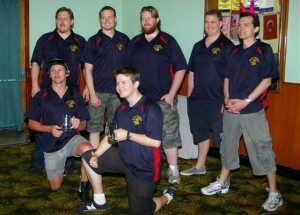 Castle Assault is the number one social Warhammer Tournament in Australia if not the World!! This year will be bigger and better than ever before. With 60 players pitting their armies and skills against each other, the event is sure to be the largest Warhammer gathering in NSW. Well, this is not your normal Warhammer event. When Kent Fury took over 3 years ago he had a vision to make this the one tourney you must go to every year. What makes it so special I hear you ask? Well, let’s just say that this is not just your run of the mill Warhammer event. In fact, many would say that playing Warhammer is an added bonus to an awesome weekend with likeminded souls. Now, this is an over 18 event. There will be drinking, the occasional rowdiness and some good old fashion sledging. Every one that comes is expected to relax and enjoy two days of gaming and one night of extreme fun in Newcastle town. To find out more check out our facebook group page.